Shock: Apple just pulled a surprising move, admitting it had made an error with overly strict developer guidelines. 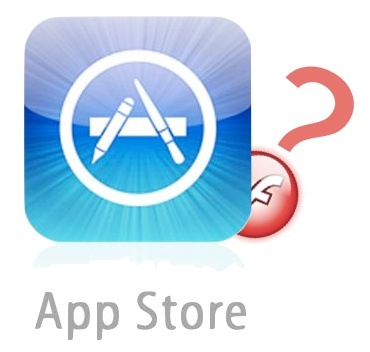 Then, a bigger shock: The new rules may permit Adobe’s Flash to work on the iPhone and iPad. Apple just pulled a surprising and rare move by admitting it made an error with overly strict developer guidelines. Then, a bigger shock: The new rules may permit Adobe’s Flash to run on the iPhone and iPad, ending a long standoff between the two companies. Now section 3.3.1 merely notes that code must only use correctly documented application programming interfaces (APIs), and not access any private API’s that Apple is holding in reserve. This is an amazing turnaround, and means we may see a sudden boost in e-magazine versions of well-known titles arriving on the iPad and iPhone (because many of these publishers already use Adobe tools to format their paper magazines, as well as deliver and track advertising campaigns via Flash). But it doesn’t necessarily open the door to having Adobe’s Flash actually running on the machine. Section 3.3.2, also updated, previously forbade any app from installing or launching any “executable code by any means, including without limitation through the use of a plug-in architecture, calling other frameworks, other APIs or otherwise.” Also it said “no interpreted code may be downloaded or used in an Application except for code that is interpreted and run by Apple’s Documented APIs and built-in interpreter(s).” Combined with the previous clause, these sentences slammed the door on Flash, which is a non-Apple code framework that acts as a plug-in inside browsers. Now section 3.3.2 is much simpler: “An Application may not download or install executable code. Interpreted code my only be used in an Application if all scripts, code and interpreters are packaged in the Application and not downloaded.” While this is still restrictive in order to prevent malicious apps secretly downloading spyware onto your iPhone, it’s much more open to interpretation. And here’s one interpretation: What happens if you build a new browser app for the iPhone that has all the back-end code needed to run Flash in web pages already downloaded and packaged inside it? Result: De-facto “full Web browsing” experience, complete with Flash, on an iPhone. We’ve contacted Apple to check if this is indeed allowed inside their new regulations, because, let’s face it, it’s an extraordinary possibility that brings to an end months of a very public saga. It doesn’t necessarily supersede Apple’s push to promote HTML5 as the future of the Web, though–we’re guessing Steve Jobs is still very much focused on this goal, and his thoughts are borne out by developments inside other big firms like Google (which should, incidentally, be pleased by the other change Apple made to clause 3.3.9 which frees Google up to sell ads in apps). And, it’s important to note, that even if these changes do permit Adobe’s Flash to run on iDevices, not every website built with Flash will work in the right way: The differences between touchscreen and mouse-and-pointer Web browsing means “hovering” over items doesn’t work in the same way, which may cripple some functionality. What’s behind this unusual about-face? Is it a preemptive strike to attract hordes of developers who may be getting ready to sink their teeth into apps for the upcoming wave of Android tablets? Is Apple feeling the pressure from increasing Android sales? Is it a purely business decision, intended to produce a whole new wave of apps to attract more buyers for its iPhone 4, iPad and new iPod Touch? No one knows. One thing’s for sure: The Apple App Store is about to get a whole lot more exciting. And that VLC app, for advanced media playing powers, must be regarded as a shoe-in to the App Store now–along with a tide of other apps that previously fell foul of Apple’s restrictions. To keep up with this news, follow me, Kit Eaton, on Twitter.